Sunday morning saw yet another early start, and another flight. I’d spotted a Starbucks just around the corner from my Buenos Aires hotel the previous night so thought I’d head there for a big coffee to wake me up, but it was closed. Probably because it’s a business type area I’m staying in, and it was Sunday, so I just had a coffee in my room before checking out and hailing a cab back to the airport. This time it was no Oneworld airline. There was only one operator flying to where I wanted to go, and it had been a bit of a pain to book. 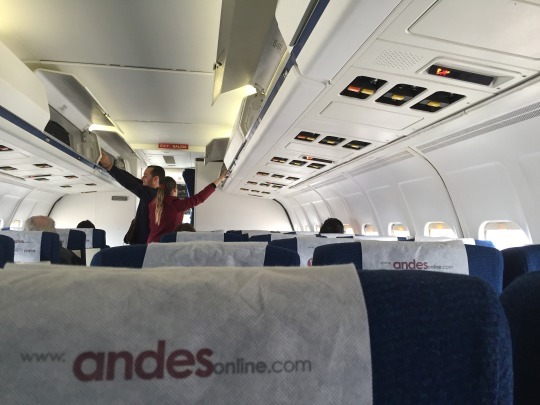 But eventually I’d succeeded, so I went off and checked in for my Andes Aerolinas flight. 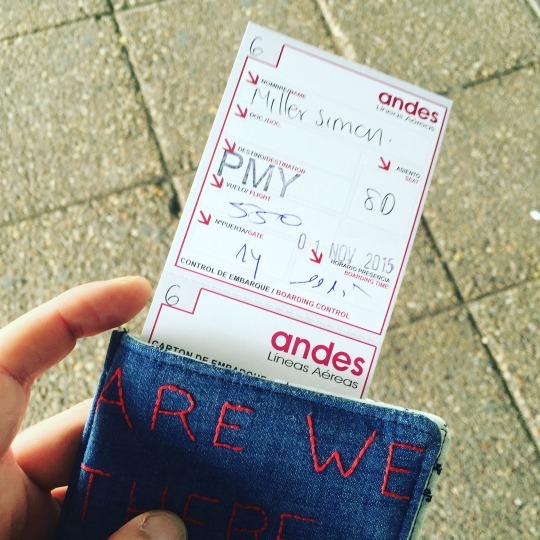 They’re a small airline but I was still surprised to get a hand written boarding pass! 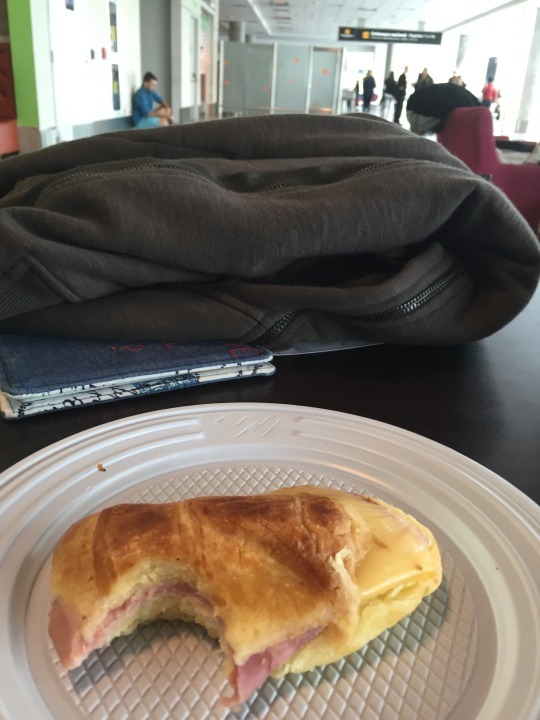 Before heading to the gate I grabbed a rather sad lukewarm ham and cheese croissant. Definitely not the best meal I’ve had on my trip! Finally it was time to board. 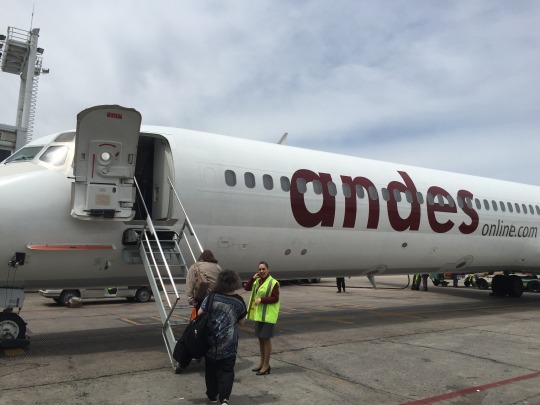 The aircraft was an MD80 – I.e. Old! Inside it looked at least 30 years old. It still had no smoking signs! I was a bit nervous but it was actually ok – even if the cockpit door was open for most of the flight! 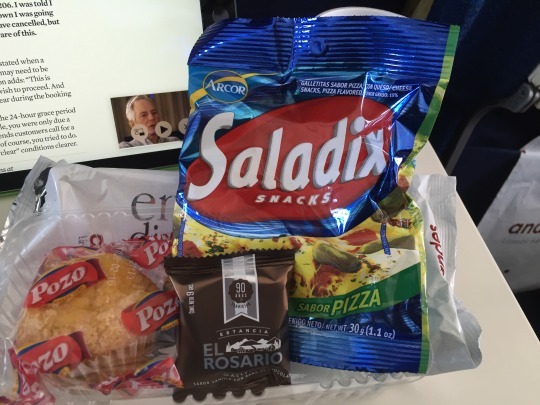 And even they did a snack box! 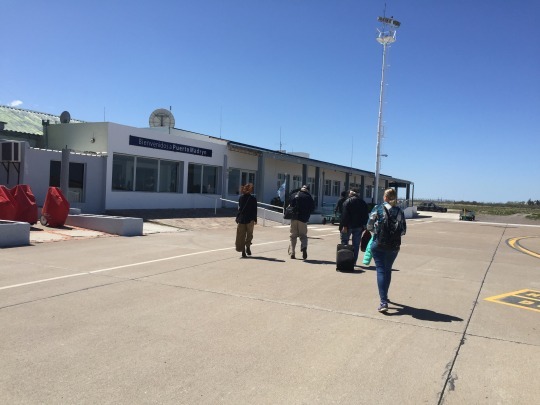 About an hour and a half later, we touched down at one of the smallest airports I’ve been to – Puerto Madryn in Patagonia. This was very different from Buenos Aires. 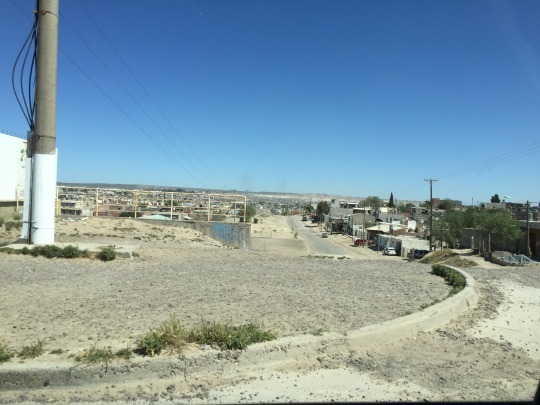 The taxi driver on the way in to town explained only 5,000 people used to live in the town before an aluminum plant opened. Now it’s home to around 100,000 people. It looked barren – and remote. 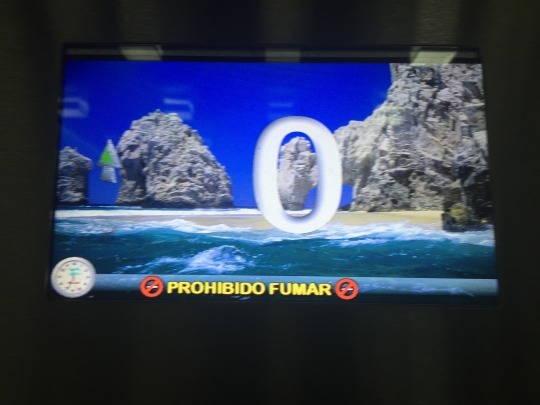 My hotel was actually ok – and had the most modern looking lift display I’ve ever seen. Animated background and everything! After dumping my bag I walked along in to the town’s centre which only took me about ten minutes. I needed to book a tour the next day, and was worried none of the agencies would be open on a Sunday but the tourist information office soon pointed me in the right direction. I arrived at Alora Viaggio and was greeted by an elderly Iady sitting watching YouTube videos. “Ingeles no problem!” she said. 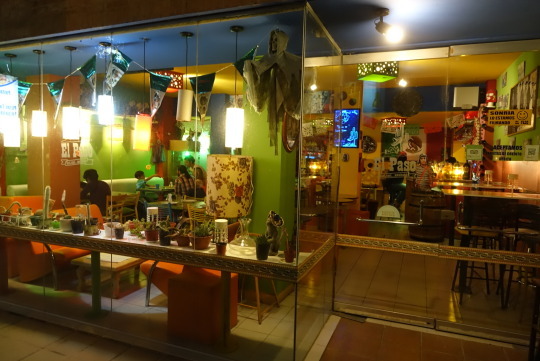 I explained I wanted a trip to Punto Tombo – it’s around a two hour drive, so you need to go on an organised tour. 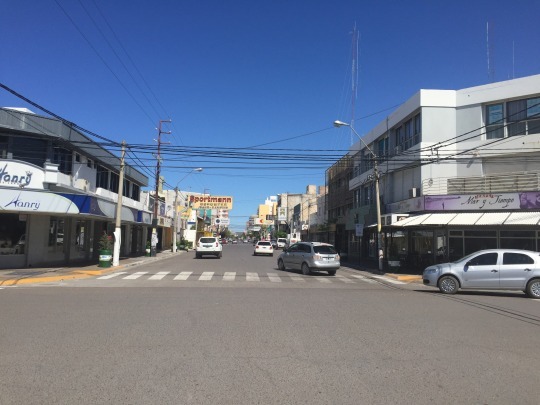 She then pulled out a map and started speaking in high speed Spanish as she pointed out destinations on a map – everywhere apart from Punto Tombo. If English wasn’t a problem for her, Cantonese isn’t for me. Eventually I got what I wanted – a day trip to Punto Tombo with a stop off on the way back to see some sea lions. Sounded good! I paid my 800 pesos after confirming the tour would definitely be in English and strolled back to my hotel. 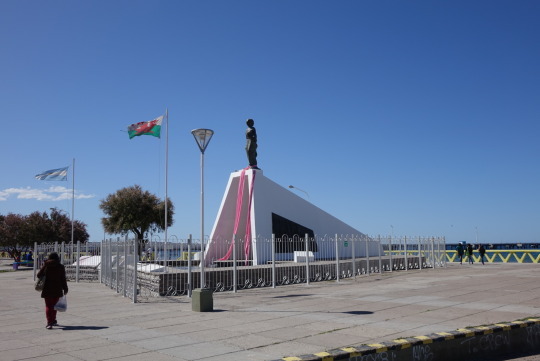 En route I saw some schoolgirls doing a traditional dance display and also a Puerto Madryn landmark – a Welsh lady. Apparently in 1865 more than 150 Welsh people landed in the town to establish a community where they could speak their language and practice their faith free from the English government. I didn’t see any obviously Welsh real people though. I headed back to my hotel and had a two hour snooze and was just getting ready to head out for dinner when my phone rang. It was reception to say that my tour operator was on the line and there was NOT a tour in English available the next day. GRRR! I headed to reception and was put on the phone to the lady who didn’t really seem to understand what I was saying so I kind of gave up and said I’d try to arrange another tour. Which the receptionist managed to do for me in two minutes. Then he called back the original agency and told them I was cancelling, but they apparently started offering all other kinds of tours. He said they seemed very confused so it was probably just as well I didn’t go with them! He’d asked how I’d get my money back and there wasn’t any reply to that so off I headed waaaay back along the street again to try and get my money of the YouTube watching lady. Thankfully she waved me in and handed my cash over before waving me off with a cheery Ciao! The only upside to this was that I managed to get some decent shots of the sun setting off the town’s beach. 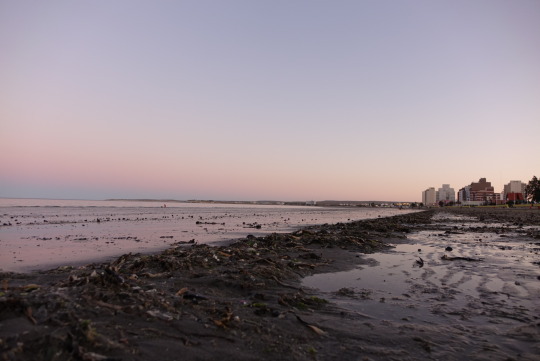 There may not be much going on in Puerto Madryn but it did have a nice feel about it – everywhere I looked kids were playing in parks while their parents chatted and took it easy. Did I speak to soon though? 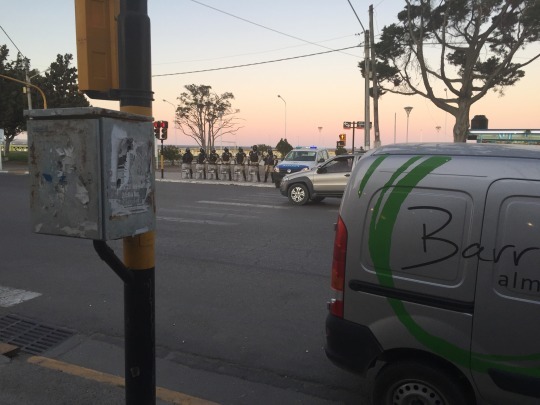 I was crossing the road when a police car squealed up and out jumped a load of mean looking policemen who stood in a line just in front of the beach facing the main road. 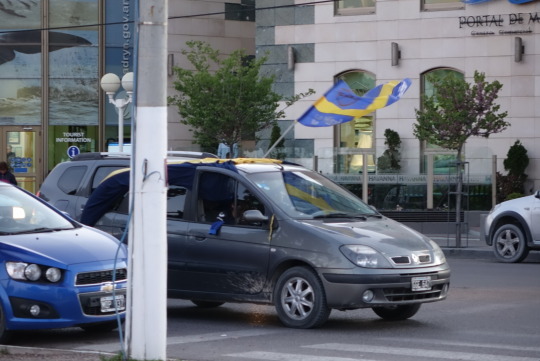 My taxi driver had told me his football team Boca Juniors were playing a big game that day and if they won I should expect to see some celebrations. 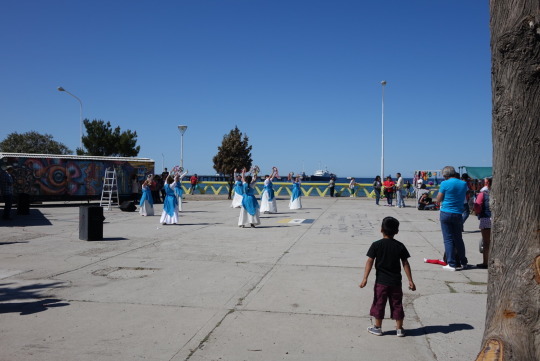 There was a bit of noisy flag waving out of car windows all of a sudden, so I presume the cops were just keeping an eye on the festivities! I went in at about 8.30 and was the only person there, just confirming most people don’t eat out until much later. To start I ordered “potatoes stuffed with chicken and cheese” presuming it would be like loaded potato skins. No. 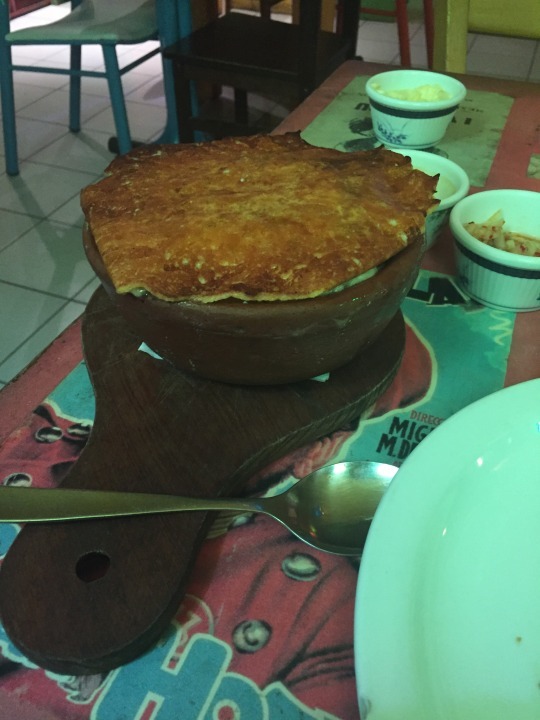 What turned up was a bowl the size of my head. As a starter. Inside that was boiled potatoes, loads of chicken and a bit of cheese. It was waaaay to much considering I’d also ordered a main! Argentinan portions are very generous. 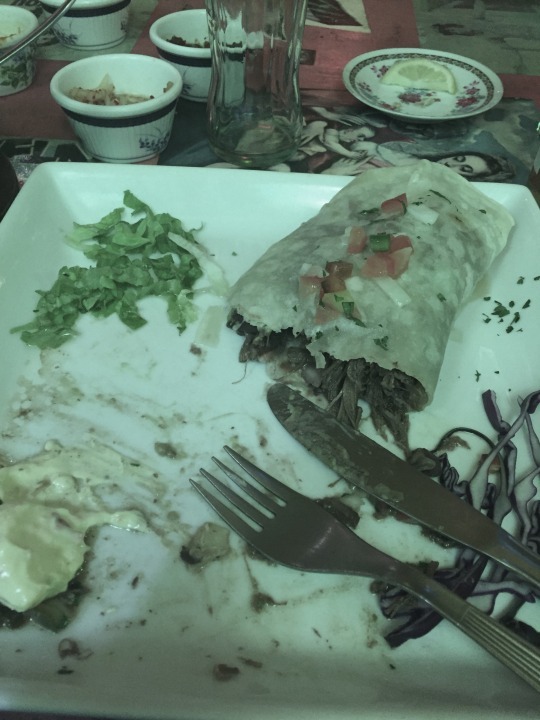 When my burrito came, it was enormous as well, taking up the whole plate. And it was a big plate. It looks a weird colour there but it was just the light affecting my camera. I managed about half of it. It wasn’t authentically Mexican tasting but it was ok! Totally stuffed I headed back to the hotel. It was 10.30pm and there were still kids with their parents playing in the park opposite! One good thing about my original tour being cancelled was that my new one had a start time of 9.30 instead of 7.30 – meaning I’d get a bit more of a lie in in the morning! 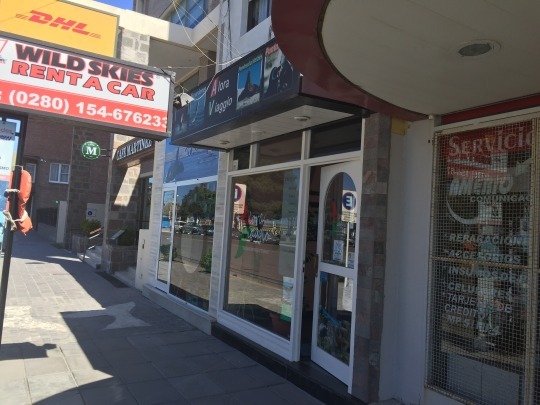 I was just glad I’d got the tour sorted – it was the whole reason I’d come to Puerto Madryn.